This is how the second book of the 'Parade's End' teratology begins, and it sets the tone for the entire novel. This book deals with Teitjen's time as a captain at a supplies depot, close to the Front during World War One. He has left Valentine and England behind, but Sylvia, on the war-path, follows him to France and stirs up a world of trouble in the process. However, though one could spend forever discussing the ins and out of their relationships, this blog post will focus on the aspect of the writer's style that took me by surprise: the ability of the human race to find beauty in the most unexpected of places. It is with a painter's eye that he describes life on the front lines - a tiny speck of light, adds an additional, visual, dimension to the writing and lifts the world of the supply depot off the page. It is not surprising to learn that Ford Madox was the maternal grandson of acclaimed Victorian painter Ford Madox Brown. 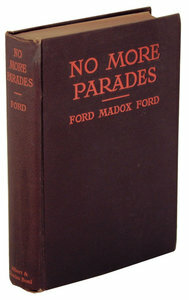 In 'No More Parades', Madox Ford reveals his own gift as a novelist-painter, who, with just one adjective, can illuminate an entire scene for our imaginations. Not only does he create the somewhat heartbreaking yet beautiful image of the 'sleeping army', but he bathes the vision in a mixture of cold reality and magic by placing a 'white moon' overhead and by describing the endless lines of army tents as 'glimmering'. That one adjective suggests all the vulnerability and transience of life for a soldier at the Front: like the light of a candle flame, the slightest breath is enough to extinguish it. In naming it as a village, he calls up echoes of middle England, whose sons have all decamped to the battlegrounds of France; an uprooted English village, if not in term of place, then in terms of national identity. It is an Arcadia, he tells us, a place celebrated as an unspoiled, harmonious wilderness in Greek mythology, hardly apt when describing a landscape close to the Western Front, but that is how Madox Ford chooses to present it. Perhaps it is the camaraderie of war, the mutual love felt by soldiers in wartime, that inspires him to describe the scene thus, or he is simply using the nocturnal hours of peace as a contrast to the horror of the day's fighting. Indeed, there are many descriptions of moonlight reflecting silver on mounds of earth; stars, like pinpricks in the black sky, and so on. Much of the book's action, it is clear, takes place in the dark. 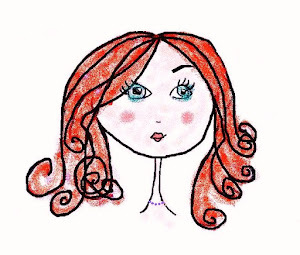 She is positively glowing and never so much so when he remembers their last parting, the final parting as the had thought, when she left him in the middle of the night for Paddington Station. He recalls her far in the distance, standing in a long room, the '...other end of which she had seemed a mere white phosphorescence...' . She has almost disappeared in his memory, but he only recalls her glowing. Here Valentine is described as smelling like a primrose, a delicate flower, again with a suggestion of 'rose'. Yet she is associated with the first one of the season, his first true love, pure and delightful; set in a particular English setting, which we can imagine to be the grounds at Groby. Note too, how she recalls a golden place, a precious home. The images associated with both of these women are in stark contrast to the masculine, darkness of the soldier's life, as experienced by Tietjens. It is no wonder that he clings so tightly to Sylvia as they dance at the camp, despite the fact that it is Sylvia and not Valentine. Who would not be dazzled by such a light in so dark a place? It strikes me as quite significant that women and the moon should play such a vital role in creating the atmosphere of the text, as so often the moon is perceived as a female entity itself. Perhaps the author is commenting on the real power of women in the world, as distinct from the political power so desired by Valentine and the suffragettes in 'Some Do Not'. Regardless of its symbolic meaning, there is certainly much visual beauty in this book. Of course, the shifting voice of the narrators, and their fragmented internal conversations, reflects perfectly the inner lives of real people; their internal struggles and whisperings, their reasoning and motivations. Madox Ford masters all this. Yet, for me, what I will remember most about this book, are the devastatingly beautiful moments, blazing, so unexpectedly, out of the darkness and forging precious nuggets of hope for us all.